All our bedrooms are decorated to a very high standard. We have taken the time and care to give each room its own unique style and character. 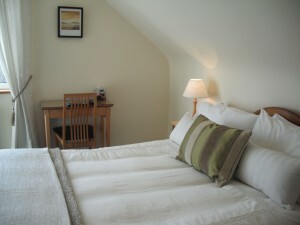 All rooms have excellent views of Ballinakill Bay and the Twelve Bens Mountain Range. Sit with a mouth watering breakfast cooked fresh from the Kitchen or Buffet while enjoying the view or chatting with friends.